Don't miss the biggest clearance sale of the year! 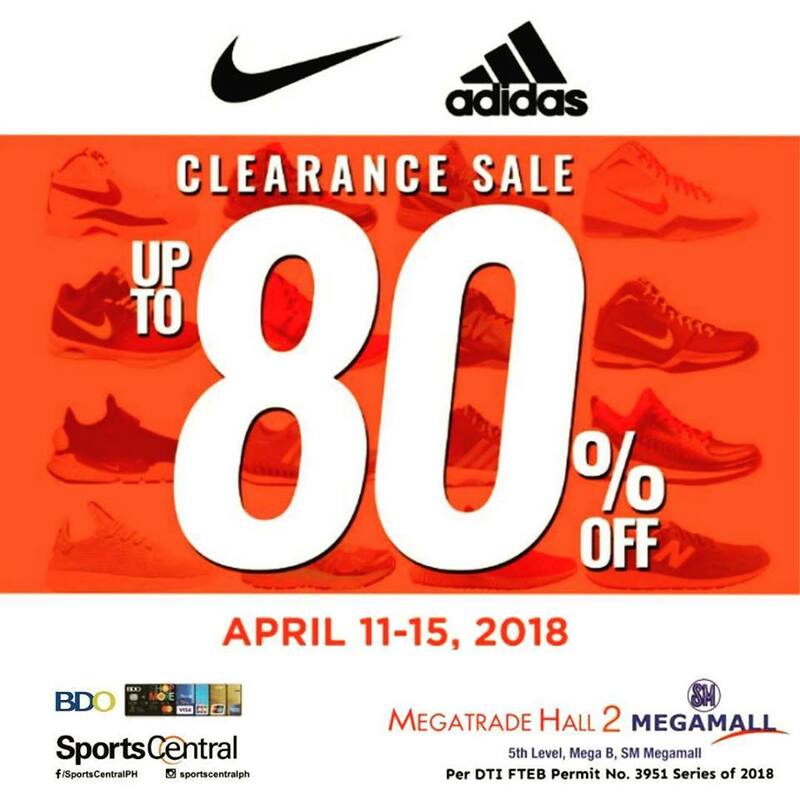 Check out Nike, Adidas, New Balance, Under Armour (plus more of your favorite brands) Clearance SALE happening on April 11-15, 2018 at Megatrade Hall, SM Megamall. 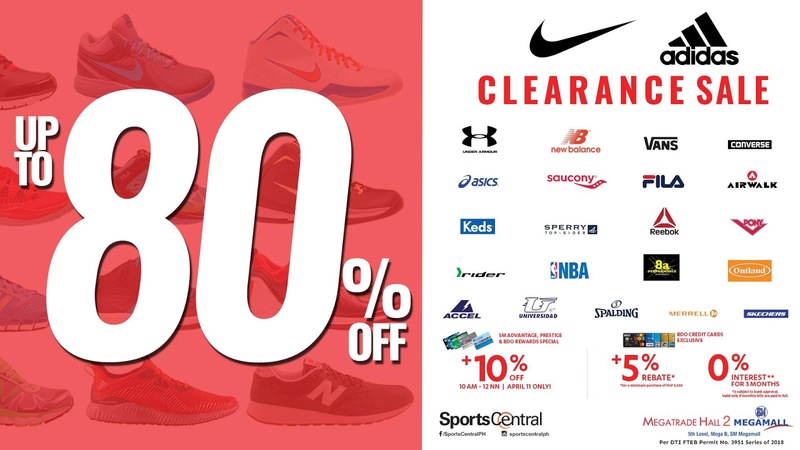 Participating brands: Nike, Adidas, New Balance, Under Armour, Vans, Converse, Asics, Saucony, Fila, Keds, Sperry, Reebok, Pony, and many more! 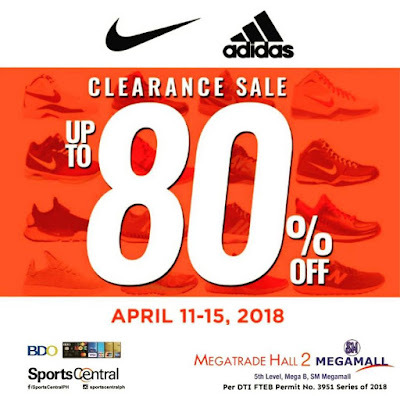 SM Advantage, SM Prestige, and BDO Rewards cardholders get an extra 10% off on April 11 from 10am to 12nn. 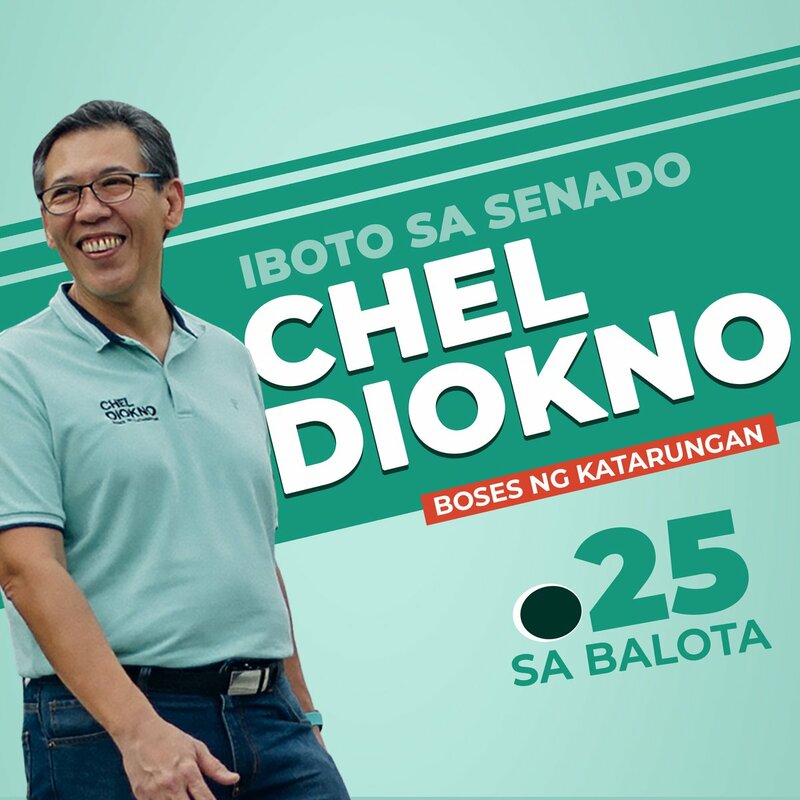 BDO credit cardholders get additional 5% rebate with a minimum purchase of P5,000, and can avail of 0% interest for 3-month installment (with minimum purchase requirement).